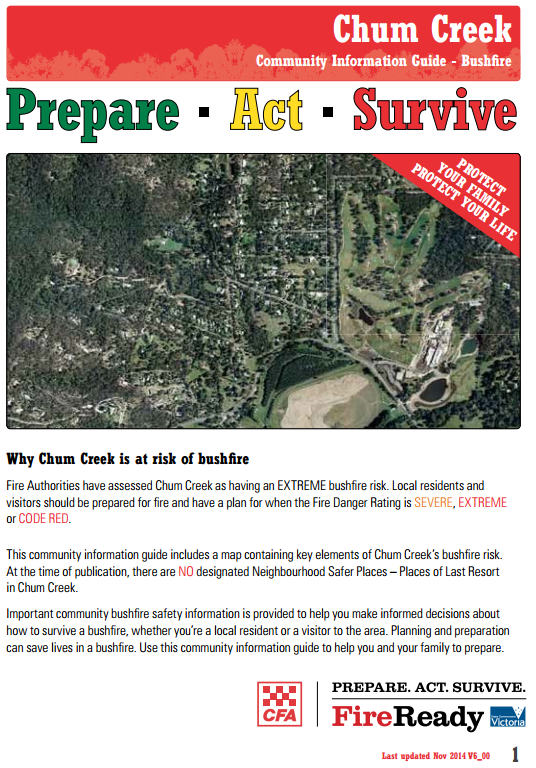 Fire Action Week is Victoria’s annual fire planning and preparation awareness week. Right now, forecasts show there is potential for an earlier and longer fire season in Victoria. This week is a great opportunity to find out more about the fire risk in your local area, talk to your family and friends about how you’ll know when to leave, where you’ll go and how you will get there. 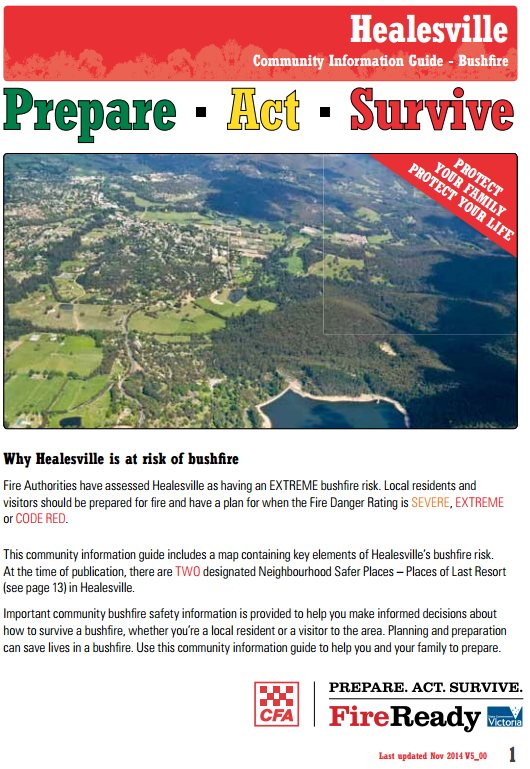 CFA brigades around the state will be talking to their communities about the local fire risk, how to prepare, and what to do to stay safe over summer. Check what’s on in your area. Download the VicEmergency app to your mobile device. Check warnings – make sure you understand the three levels of warnings and what they mean. Pack an emergency kit of essentials. This should include important documents, medications, a mobile phone, torch, battery operated radio, money and clothes so you can leave quickly before a fire starts. Talk to your household and neighbours about how you’ll know when to leave and where to go to stay safe. Do you have family, friends or neighbours who need help preparing to leave early? Talk to them about when they’re going to leave, where they’re going to go, and how you can help. For more information on how to get prepared, visit our Plan & Prepare section.